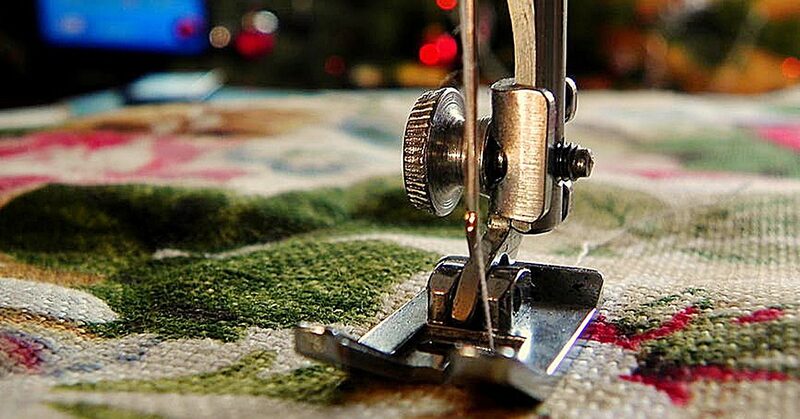 Sewing can be a precise art of measurements and strategies. But at times, it’s kind of fun to loosen the standards and try for something less typical—and the results can be quirky and intriguing! This is what I like to refer to as Picasso Sewing. The title is a bit misleading since there’s structure and definition to Picasso’s works, but the idea of odd elements that don’t necessarily fit together is a fair representation of what you could create if you try for a more lenient method of making your next sewing project. For example, a Picasso throw pillow, which I recently did! First, I chose fabrics that fit together without matching in the most conventional sense—two patterns that are both based on geometric shapes and lines of color. 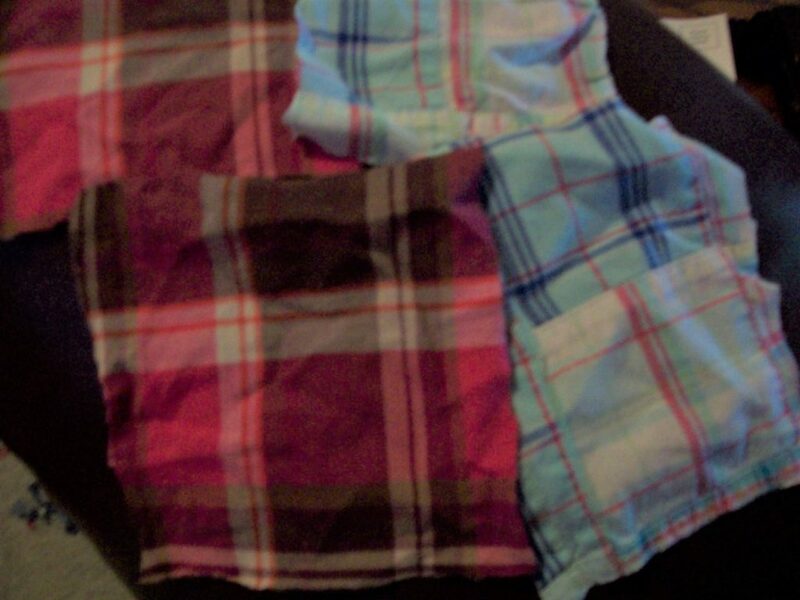 The primary colors stand out from one another, but the blue fabric includes a similar pink shade to what’s on the pink. 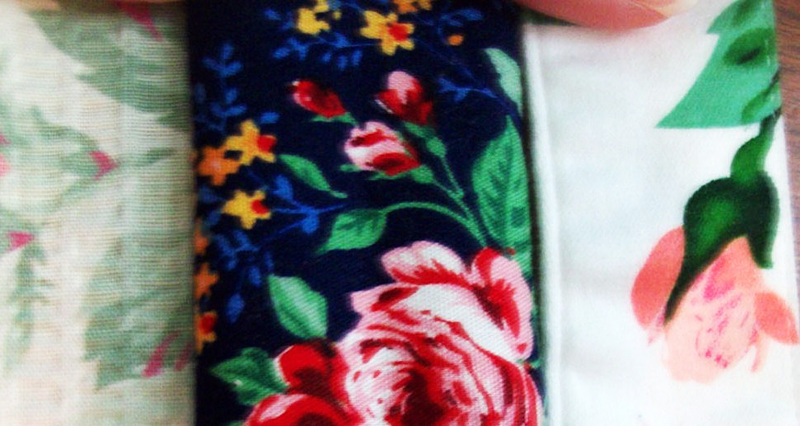 The most distinctive difference between these two fabrics though could be the pieced-together look of the blue fabric. Whereas the pink blocks are solid pieces, the blue ones were already a patchwork design since multiple geometric shapes form the overall design. 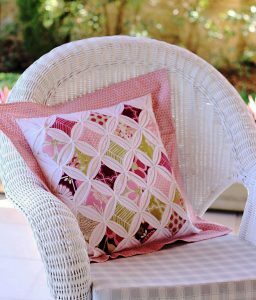 The fabric choices essentially match in a shared pink color and a general foundation in geometry, but they’re different enough to create a mismatched look. 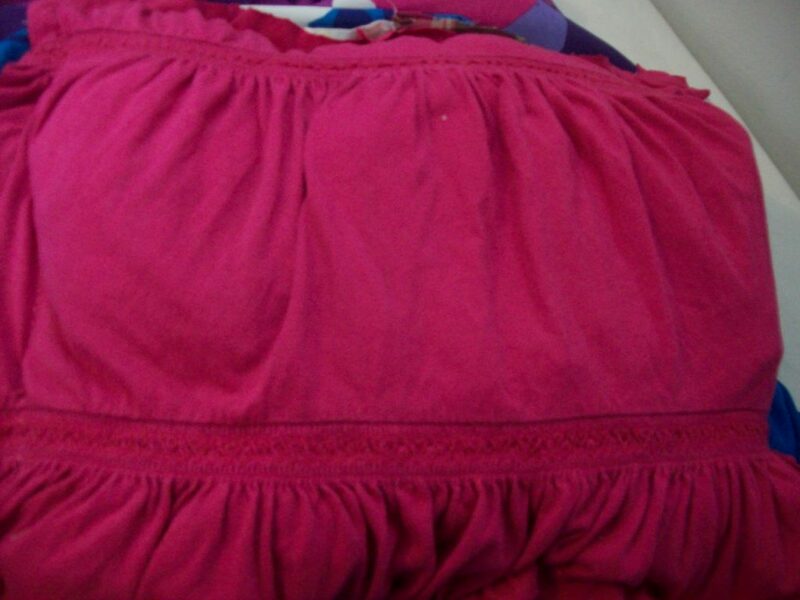 For the backing, I chose a different pink fabric that comes with elastic-esque lines of fabric. That elastic quality made this fabric a gamble since I didn’t know how the bunched areas would work when the front and back were sewn together, but remember that I was taking risks with this one! 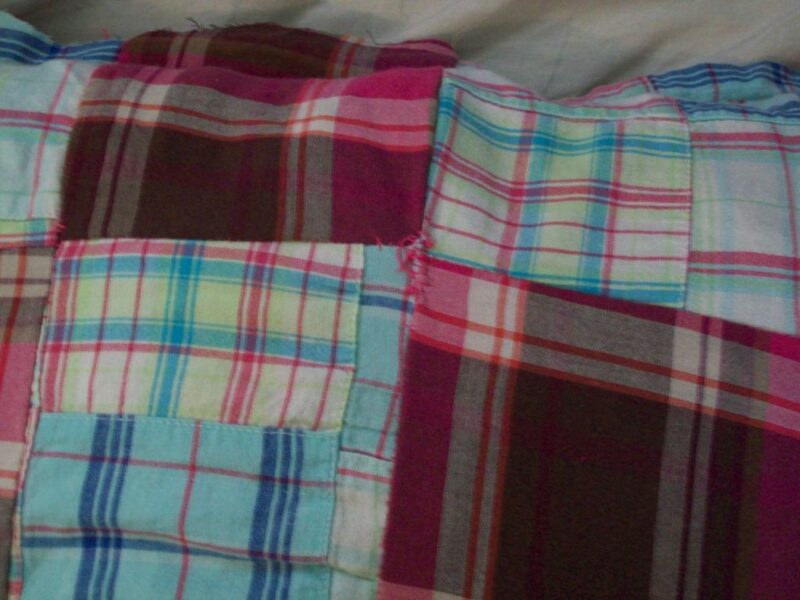 Once I had my out-of-the-fox fabric selected, it was time to start piecing together the front part of my pillow. 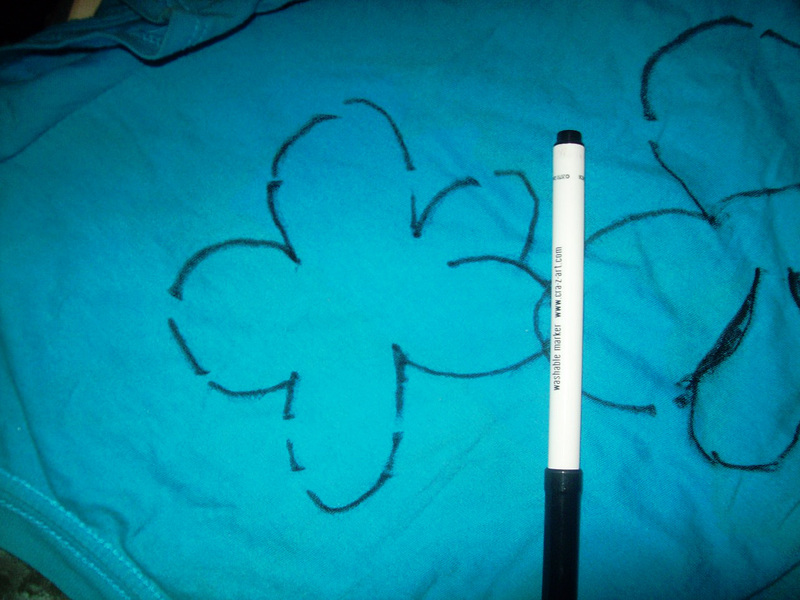 I chose to go with a patchwork design, but I was lenient with how I put the patches together—and even how I cut them. Basically, I cut out a piece of one fabric, then cut other fabric shapes that were similar, but not necessarily exact, in size. 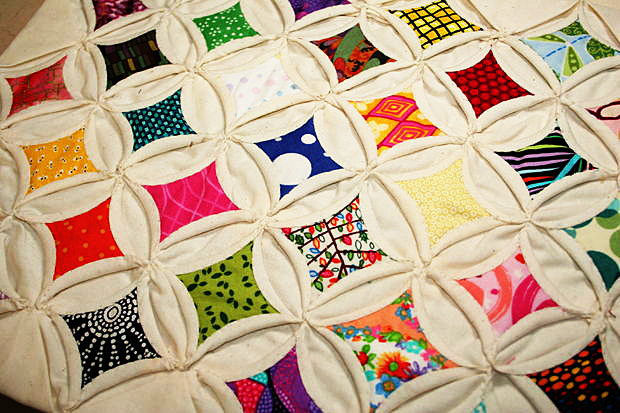 Once I had pieces that looked (to my eye) sensible for a patchwork project—an estimation of approximately 2-3 inches in either direction—I decided on the pattern those pieces would take and started sewing the blocks together. This is another step where basic sewing strategy was put on a shelf to create something more Picasso than an average throw pillow. I didn’t pin the individual blocks together, and I tugged them so that they fit alongside their neighboring pieces essentially on whims. I just tried to get a good amount of space for each block of fabric, and I didn’t worry too much about making everything exact and organized. The result was an interesting setup where the blocks were tilted and varied in size, and I love it! 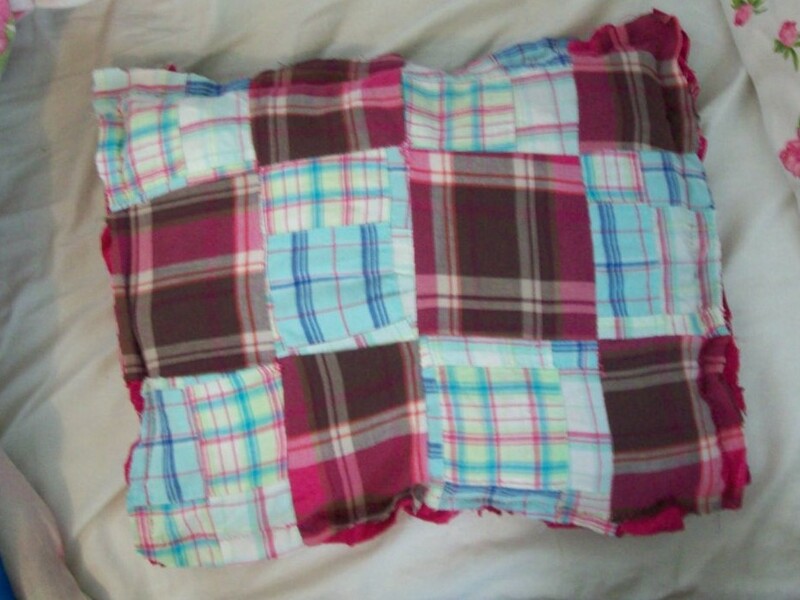 I did give a bit more thought to piecing the lines of blocks together by using a handful of straight pins, but the messy appearance still exists in this pillow! I ended up adding a fourth row of blocks to get the pillow a little bigger (I seriously eye-balled and compared fabric blocks to get every measurement here), but after that, it was time to apply the backing. 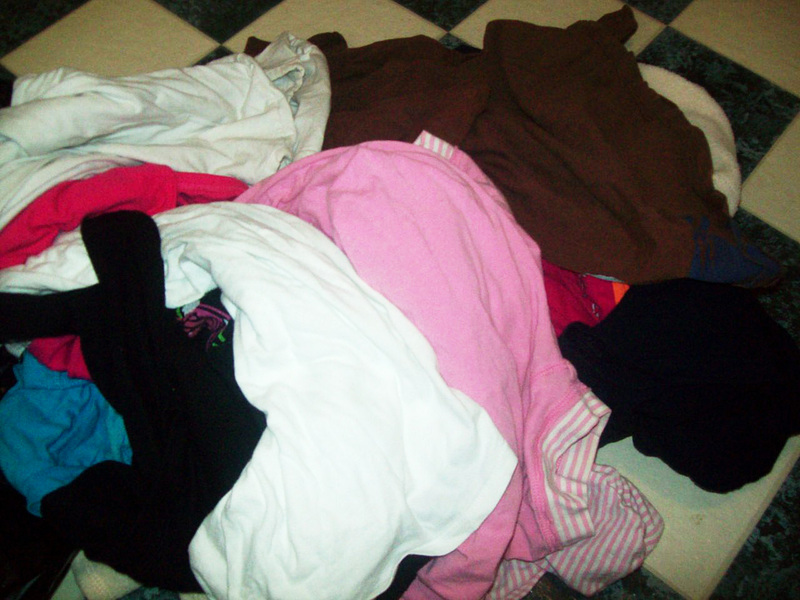 To do that, I was again unorganized in my methodology. I laid the top layer of the throw pillow on the backing material, then pinched the backing fabric enough to where there would be extra space between the layers for filling. I only used less than a dozen straight pins to keep the layers of fabric in place as I sewed far enough from the edges of the top layer’s fabric to allow excess material on all sides. Next, I sewed along all of those sides until there was one patch of open space left to insert the filling, then finished sewing the rest once the filling was inside. Since I had the elastic element to consider for the backing, at times, I had to allow bumps between stitches to make up for the excess fabric for all of this sewing detail. After that, I’d intended to shred the edges to make this a raggedy throw pillow, but once I cut off the larger portions of the backing fabric, I found I already liked the raggedy look that the unclean edges brought to the product. So rather than rocking the boat by shredding the ends, I just cut off pieces that *needed* trimming—like excess thread or very shredded parts of the fabric. There are two details about my process that I’ll mention in addition to this basic strategy. The first is what I used for filling. This is a creation that’s not intended to look or be sophisticated, so I used a series of old shirts to stuff into the pillow. If you’re going for something that’s more concerned with comfort, you might want to try for a more standard filling. The other detail is that this process, since it ends with a ragged final product, can be forgiving for mistakes because it’s understood to look a little worn. For me, that came in handy because I didn’t leave enough fabric to completely link the patches in at least one spot, causing a gap. Since it’s okay for this pillow to look imperfect, I was able to sew up that spot without worrying that the thread would be seen, then add that thread-repair-look at a couple of other spots that didn’t need it. The result seemed like a structural decision to bring that ragged quality to life rather an error in strategy. The final product is a pillow that’s Picasso-like in its leaning and varied-sized blocks, and so very raggedy with its frayed ends and fake repairs. Had I gone strictly by the books, I might not have come up with something so imperfect looking—and I really would be missing out because I adore this pillow! The moral of the story? Don’t be afraid to bring a little imprecision and a lot of Picasso to your sewing to create unique products! 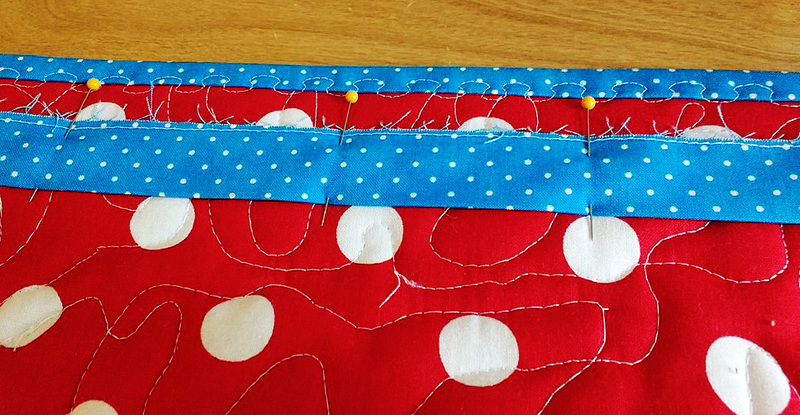 Sure, strategy is great, but loosening the guidelines in sewing can be awesome, too! It seems the more I dig into the world of quilting, the more things I find that I never knew about it in the first place. 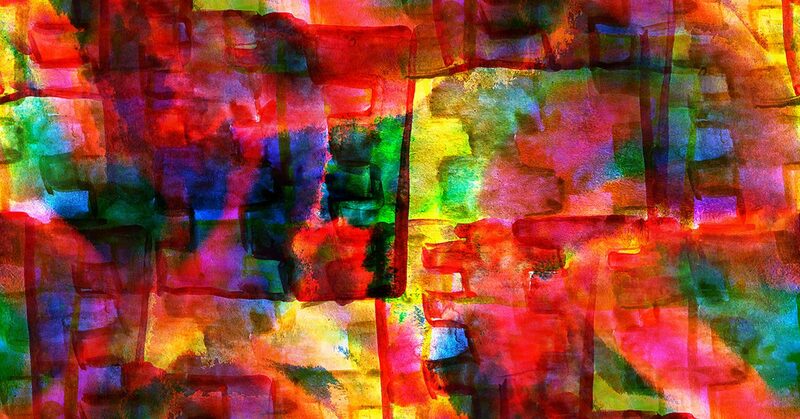 The brand of creativity is like a well of opportunities, or a garden that you can browse until you find the right flower to plant in your yard. 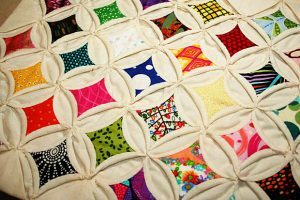 Each project and possibility is its own type of craft, and the quilter has to figure out which of them is intriguing enough to try a hand at. 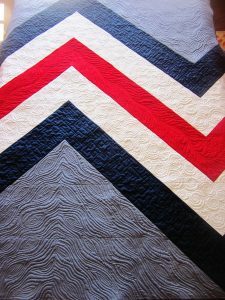 This idea is essentially what I’m doing for this blog when I explore new quilt types. I look at new possibilities, and when one catches my interest, I dig deeper! 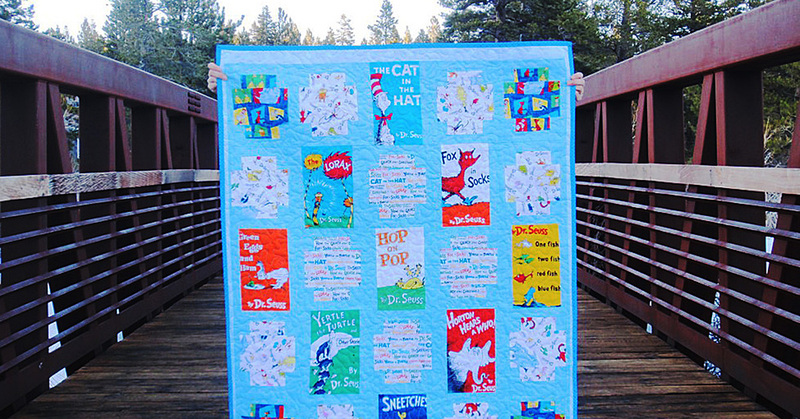 For this blog post, that’s exactly what I’ll do for what’s known as a postage stamp quilt. 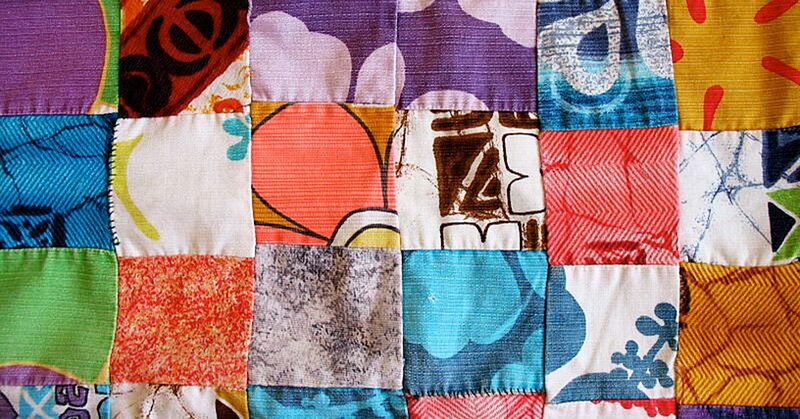 If you’re wondering what a postage stamp quilt is, it’s actually not that complicated of a style to explain! Think of a roll of postage stamps waiting to be applied to envelopes, and you’ll have a good grasp on what they can look like. 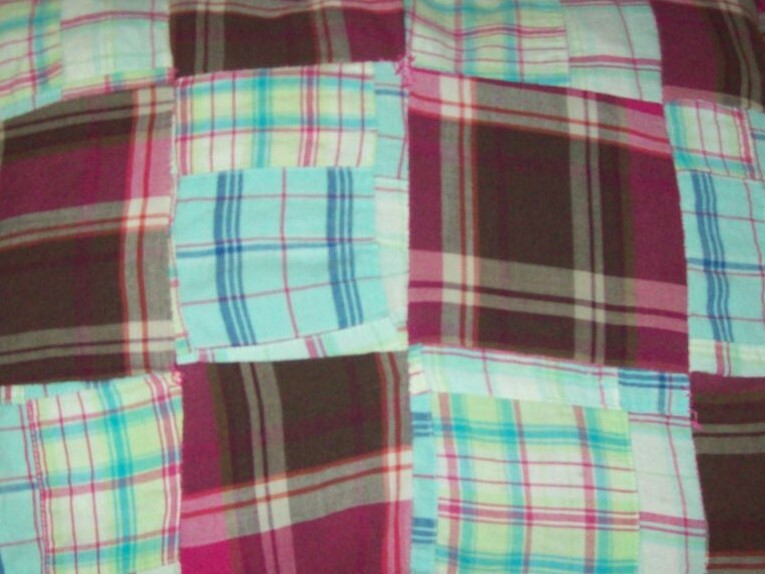 It’s one small block of fabric after another, like the patchwork quilt I invested time in, but with much smaller pieces. 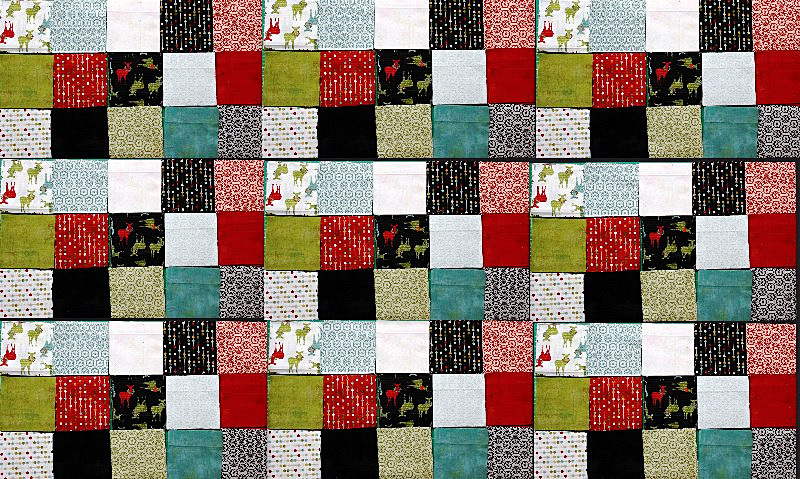 In fact, that seems to be the main difference in the top layer of a postage stamp quilt and one for a general patchwork quilt if they’re both basic block formats. 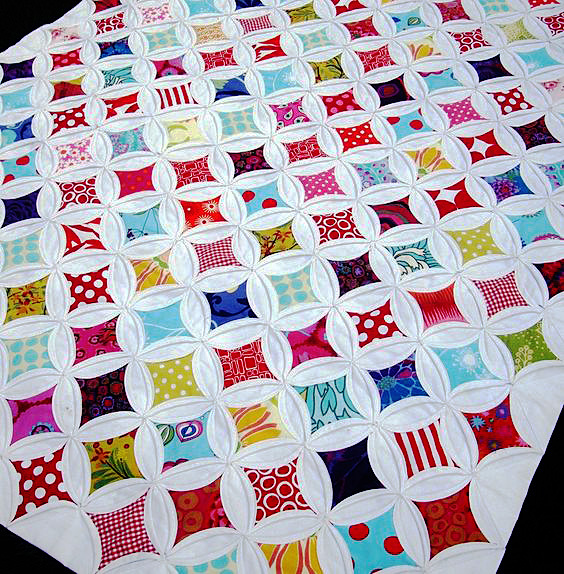 For the stamp quilt, the blocks are smaller—potentially only a couple of inches! When I was first introduced to this concept, I was a little intimidated. The reason for that intimidation was that I know by experience how much time can be spent assembling the outer layer of a larger-block quilt (something closer to ten inches), so the idea of putting together pieces that are this small felt overwhelming. 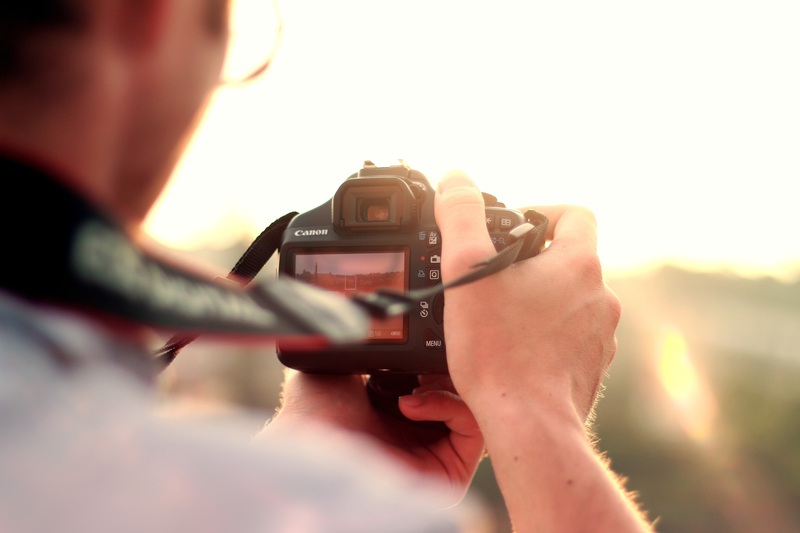 Taking the process one piece at a time would require a long, long time for me, and the strategy would be so focused on such a smaller area that it would almost have to be tedious. As intrigued as I was, I figured it would be a frustrating task! Then I did a bit more research, and I realized you don’t have to sew these pieces one at a time. Another strategy is to strip piece them together. 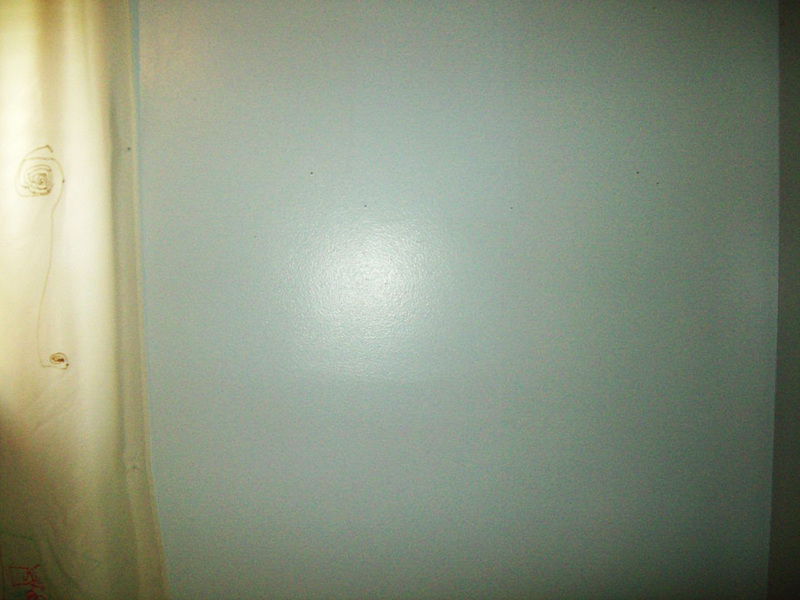 — rectangles in place of squares. 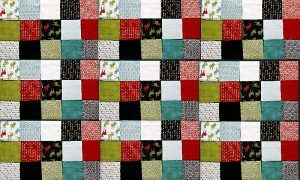 All strip piecing means is that, rather than focusing on one square block of fabric, you’re using longer sections to sew together—rectangles in place of squares. For example, if you choose to use two-inch blocks of fabric for your stamp blocks, make sure the width of each strip of fabric is two inches, but don’t worry about creating the two-inch length yet. Rather, keep those strips longer! As one source pointed out, how long the strips are can depend on you, what you’re able to handle, and how long you can keep cutting in a straight line (Quilt Videos, 2016). 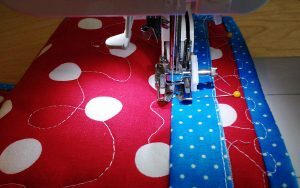 If you can go from the top to the bottom of three feet of fabric, you can have three-foot strips of fabric to work with. But if you find that you tend to get shaky or swerve-prone with extended cutting, you might want to keep those strips smaller. For me, I probably wouldn’t go beyond ten or twelve inches, but if you’re a more advanced quilter, you can try for more. 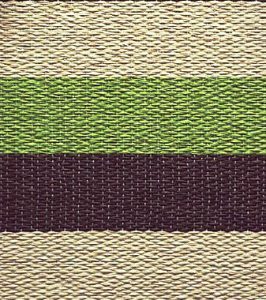 Once you have your strips, line them up side-by-side and sew them together in a chain fashion, two strips at a time. Once you have your strips, line them up side-by-side and sew them together in a chain fashion, two strips at a time. Begin with your first two strips, sewing them along their long sides so that they’re linked with both of their primary images being showcased, and then do the same with one of those linked pieces and a new strip. 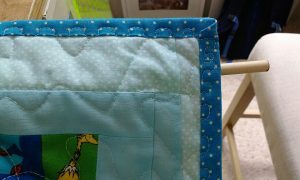 Once you finish, you should have a series of fabrics connected in long strips that are small enough, width-wise, to embrace the postage stamp quality in a quilt. 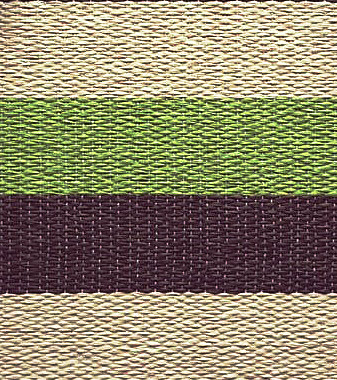 Once you finish, you will have a series of fabrics connected in long strips. 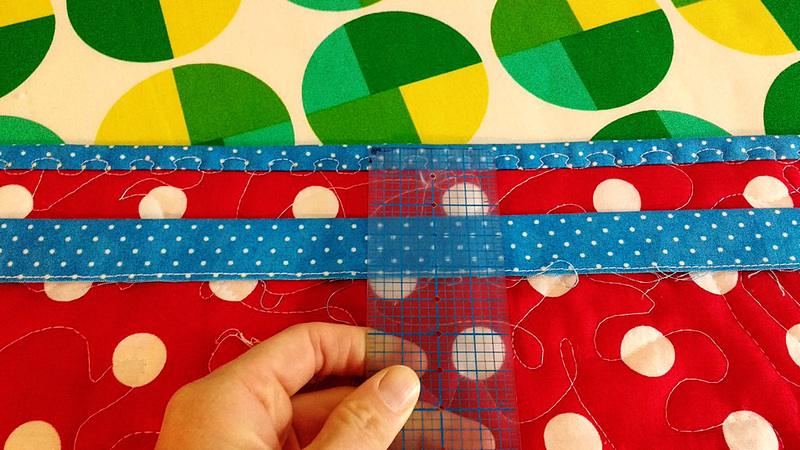 After you’ve sewn a number of strips together—again, it can depend on how much you’re comfortable with working on at a time—it’s time to make those rectangles into squares! 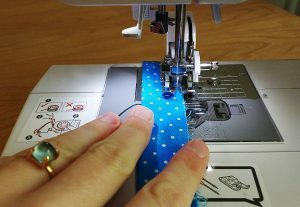 If your fabric strips were two inches in width, measure and cut across your connected fabric strips at every two-inch interval from top to bottom, length-wise. 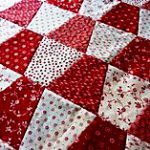 At that point, you should have a series of new strips, though these will be made of a series of smaller blocks of fabric—as many blocks as fabric types that you used. 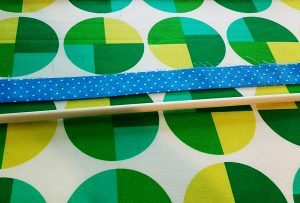 If your fabric strips were two inches in width, measure & cut across your connected fabric strips at every two-inch interval from top to bottom, length-wise. 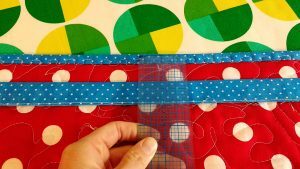 You should repeat this process through all of the fabric you plan to use for your quilt until all of it has been transformed into these multi-fabric strips. From there, it’s time to start piecing them together into the top layer of your quilt. 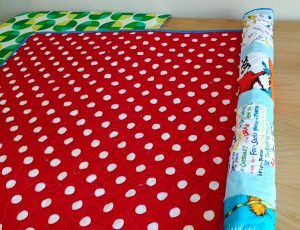 All you need to do is arrange them together in a way that looks appealing to you until you reach the width and depth you were looking to achieve in your quilt. All you need to do is arrange them together in a way that looks appealing. 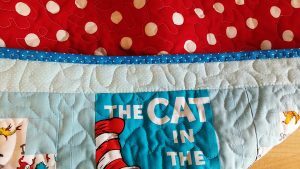 The process might sound a bit complicated, but once you get the hang of it, you might be surprised at how quickly your stamp quilt comes together! Tell me if this sounds familiar. You’re a little bored. You’d love to work on a sewing project, but you’re also in between projects. You don’t have any events coming up and you don’t have the urge to create something new for your wardrobe, or anyone else’s. I call this a sewing lull. 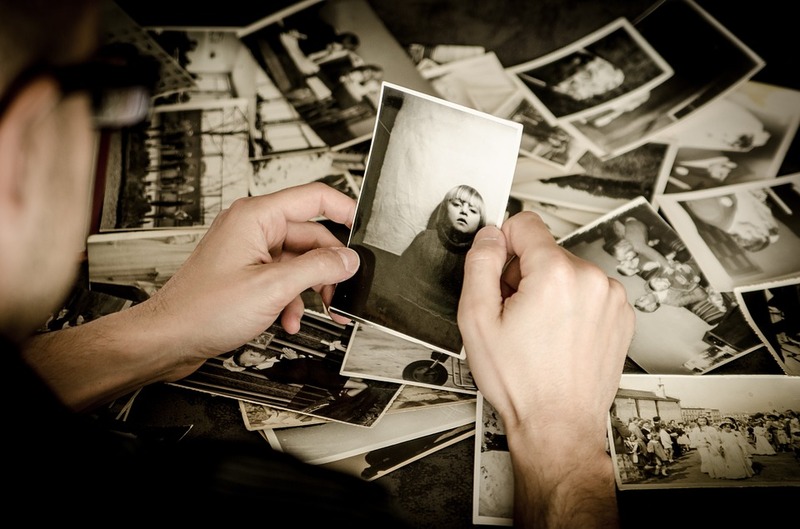 In my freelance writing and book writing careers, I sometimes experience the same thing. Over the years, I’ve found some techniques to get through those lull periods without going stir crazy from boredom. If you’re like me, you usually have a few favorite things to make. 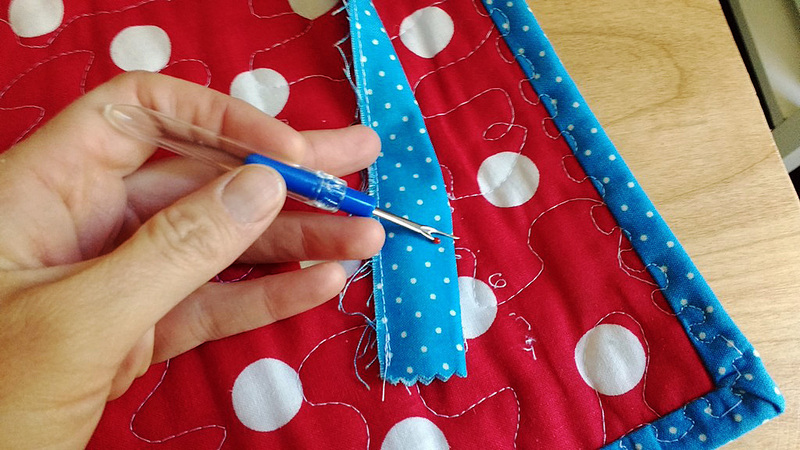 Use your sewing lull to expand your repertoire. If you usually make clothes, try making a stuff toy or blanket. Maybe go really big and learn a completely different sewing skill, like quilting or embroidery. As long as it taps into the reason(s) you started sewing, love sewing, in the first place, you’ll have a winner. Okay, don’t really run with scissors. It’s dangerous. Okay, don’t really do this. It’s dangerous. 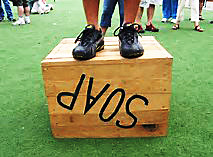 What I mean is step outside your comfort zone, disregard what usually holds you back and leap into a new sewing skill, project or technique without taking time to talk yourself out of it. Maybe there’s something you’ve been wanting to try for years, but your pragmatic side has been holding you back. 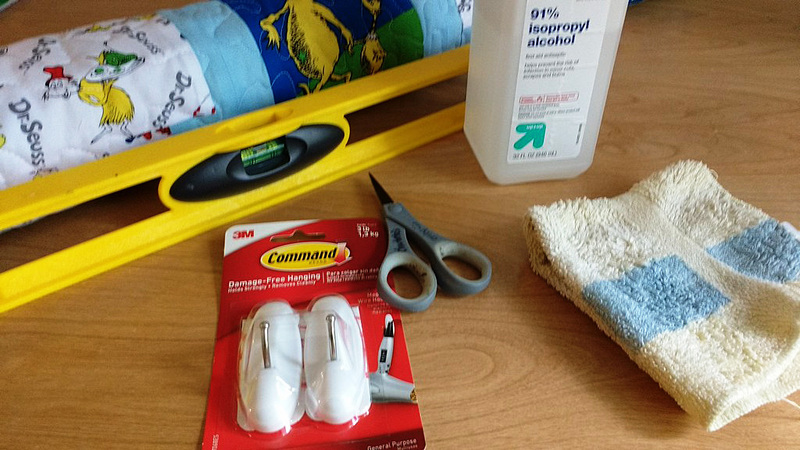 This sewing lull is the perfect time to throw caution to the wind and give it a shot. 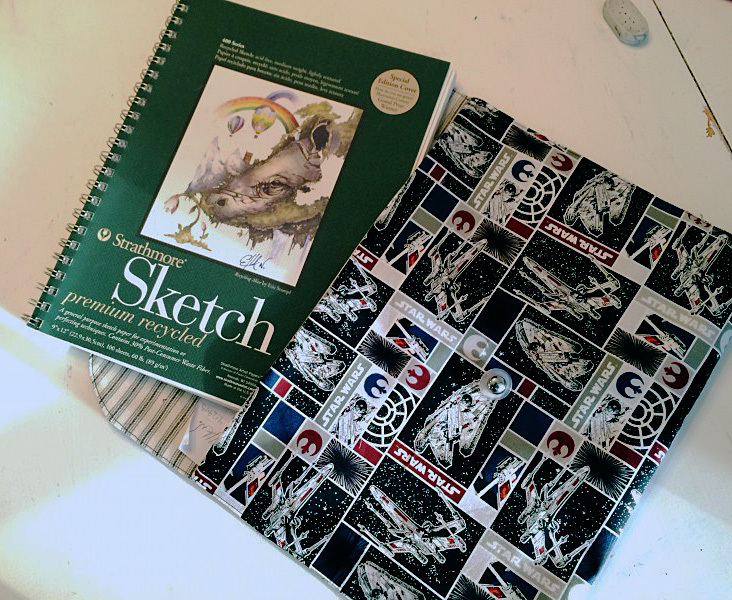 I find these three things get me through any lull, sewing or writing, and I learn some new things along the way. At the same time, it also helps me reconnect with why I love what I do – we all need that reminder sometimes, right. I appreciate all the comments I received from my last blog. I feel the need to preface this one with the explanation that I always try to do the best I can about measuring and sewing seams straight and accurately. 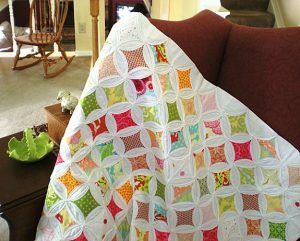 I felt a little guilty telling you that I kind of “winged” it in the blog time before last about the scrap quilt made from pieces that were matched not measured in size. 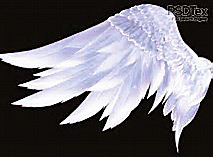 I just want to say that I firmly believe anything you attempt to do, do it well, or do it again to make it better. 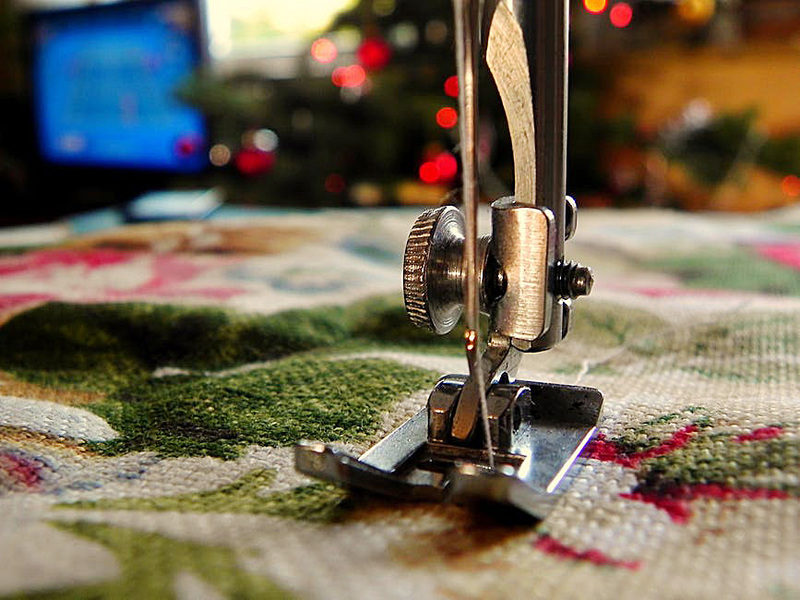 Perfection with sewing comes with practice, but don’t be hard on yourself if it doesn’t turn out the first time. 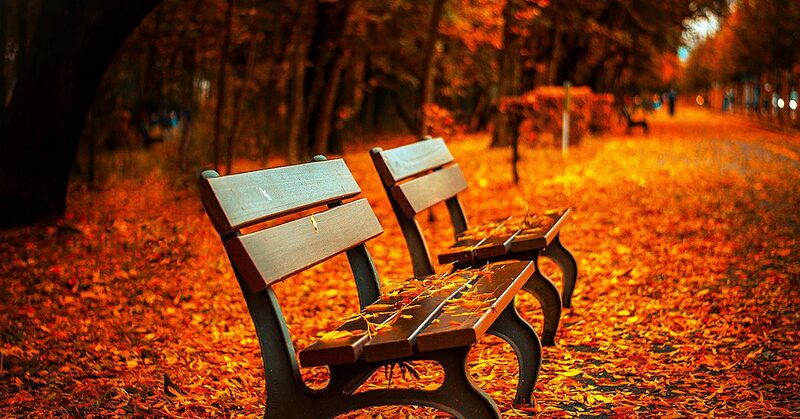 Your time is valuable and the reward of doing something that looks great takes work and focus. But please, enjoy it along the way! 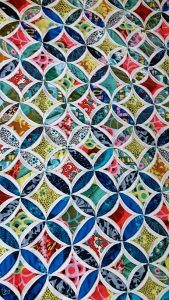 Today I want to do a product review that saves a lot of time and makes great sense to do when you are planning a quilt. So many ideas are available through quilt patterns and packaged quilt kits. 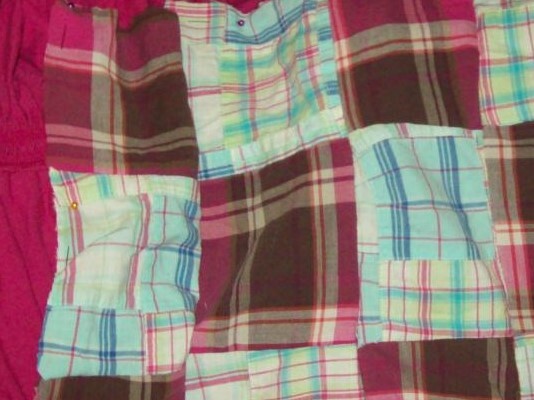 Online stores have a multitude of pattern quilts and instructions. 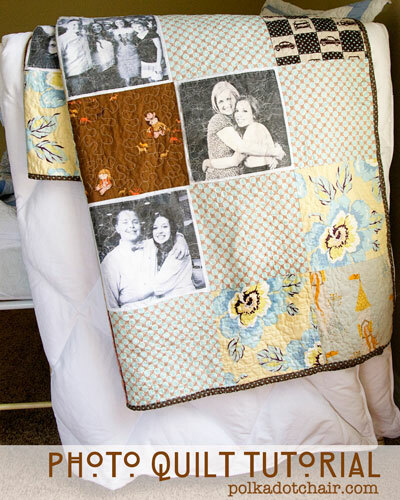 Those are great for ideas, but to me, a quilt designed by the person sewing it, is much more rewarding and showcases your personal style. 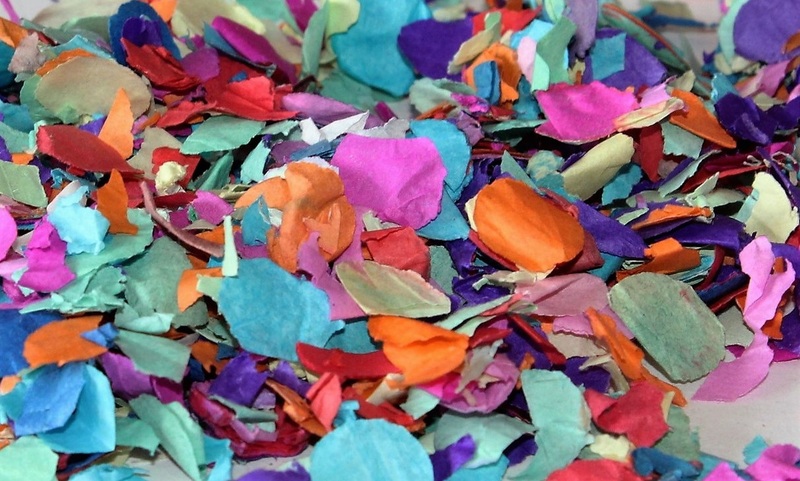 Come out of your comfort zone and design your own patterns using different textures, shapes and colors. 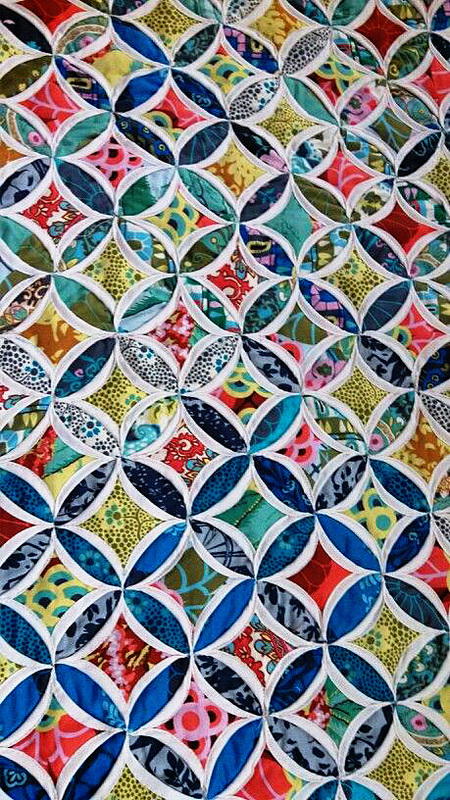 Look through quilting magazines for inspiration, Pinterest or other sewing books. 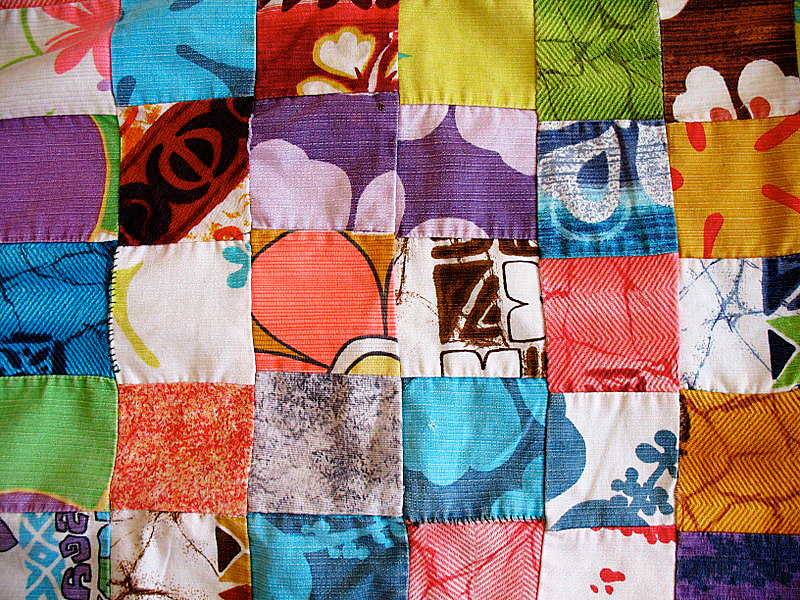 Most quilts are made by geometric square, triangles, parallelograms, and blocks of different sizes. 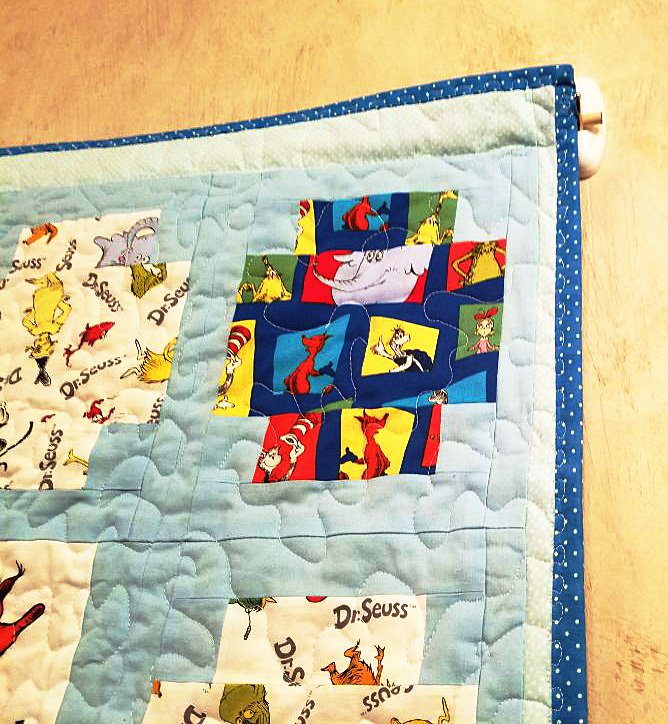 Sewn together or apart, so many options are available, but make it your own with your favorite elements. Make a design board of your favorite shapes and colors, then decide which type of fabric designs that you enjoy looking at, and the colors that would blend in your home or those you may make for donations or gifts. All fabric fits into design groups. Learn about which are modern, traditional, tribal, and vintage. 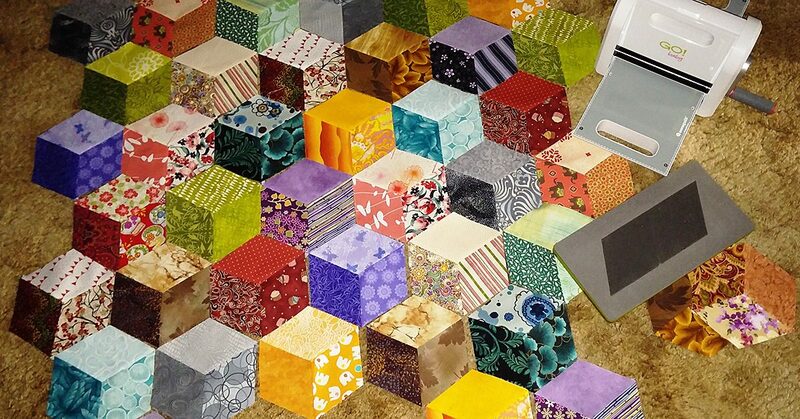 Look at the different patterns and discover that most are blocks and triangles, strips and even other cut pieces that when cut from different pieces can form a very sweet quilt made like a picture. So, let me introduce to you to the product regarding these concepts to build the precisely cut quilt pieces that would you would love making and know that you have the only one like it. The products are the AccuQuilt GO Cutter Line of fabric cutters. 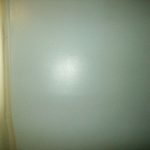 SewingMachinesPlus.com has these products that fit any budget. You can quickly cut accurate blocks, triangles and many other shapes with these fabric cutters. 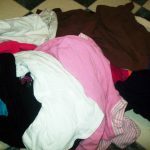 The idea is that a die is in the machine and up to six layers of cotton can be placed on a cutting mat and be cut all at once. What a time saver! 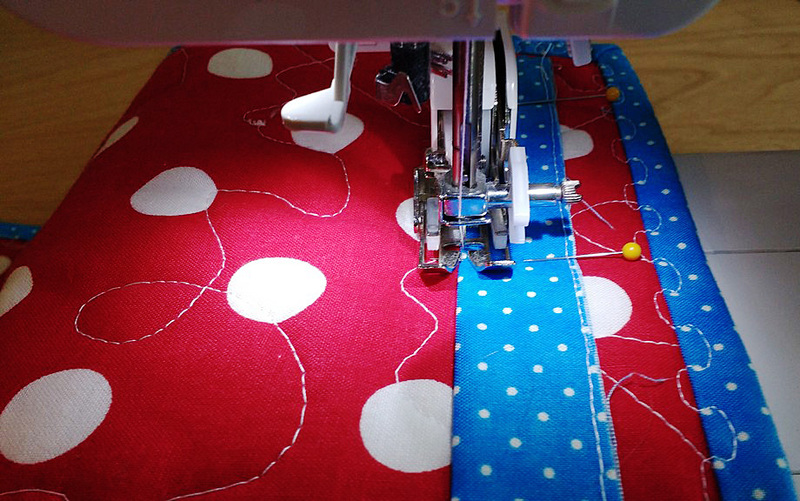 No turning the fabric on the mat and measuring again and again and cutting with your rotary cutter. The best part is they have a wide assortment of strip dies, alphabet, parallelogram, rectangles and blocks as well as other small shapes for baby appliques and seasonal shapes. 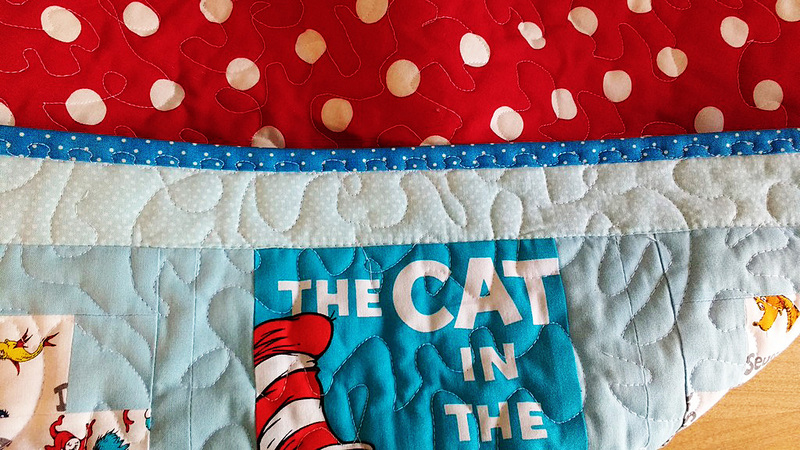 You can have all your shapes and strips cut to be able to sew a quilt in record time. In summary, the AccuQuilt Go line of Fabric Cutters have the following to promote beautiful sewing projects. There you have it! 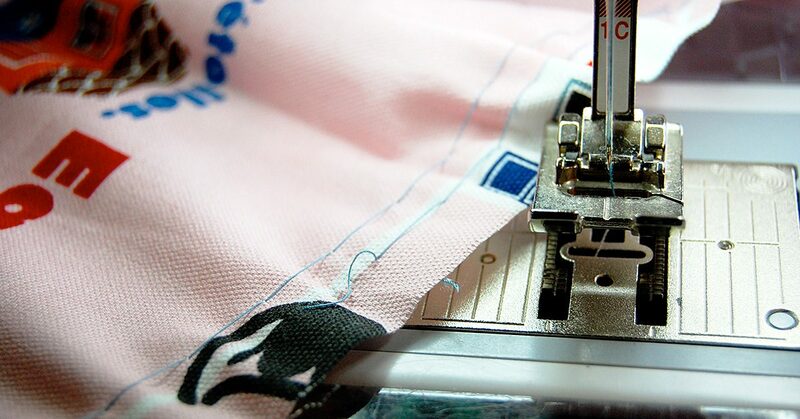 Order online from SewingMachinesPlus.com or call them and ask for help to decide which cutter best suits your needs. 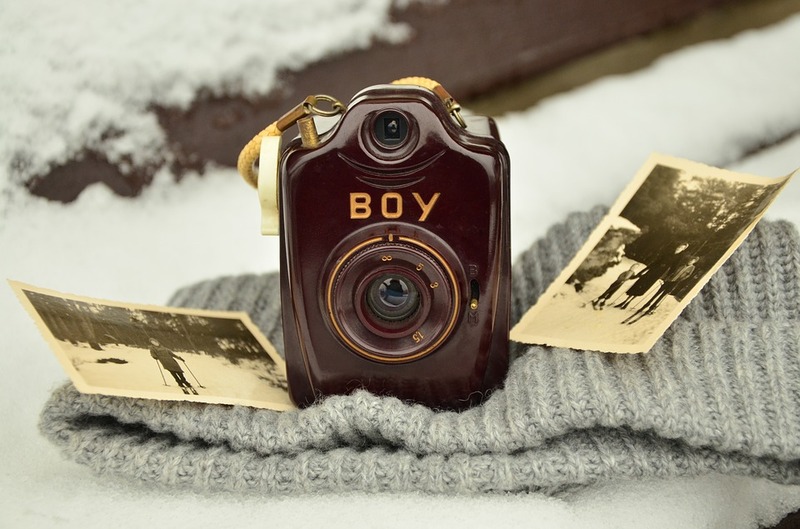 Then send me a picture in the comments space below of your beautiful personally designed item. I would love to see it. Start small and you will finish projects and love the results! Ready? One, two, three, AccuQuilt GO! By the way, tell SewingMachinesPlus.com that Angela sent you! 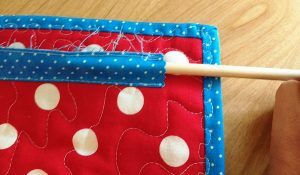 Have a happy sunny day, and Keep Calm, Keep Sewing! 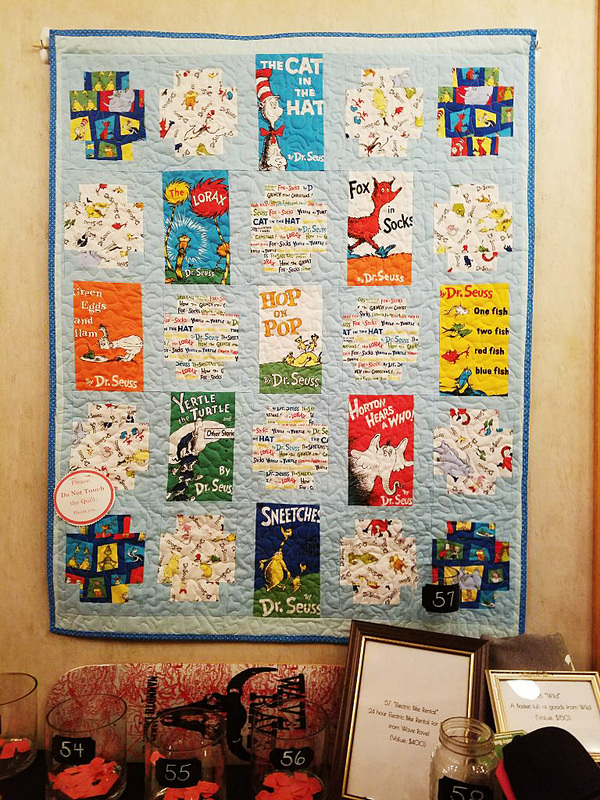 I recently wrote about this Dr. Seuss Quilt I made to donate to our local elementary school’s annual gala. Most of my donations have been made online so I hadn’t thought in advance about hanging or displaying the quilt at an event. 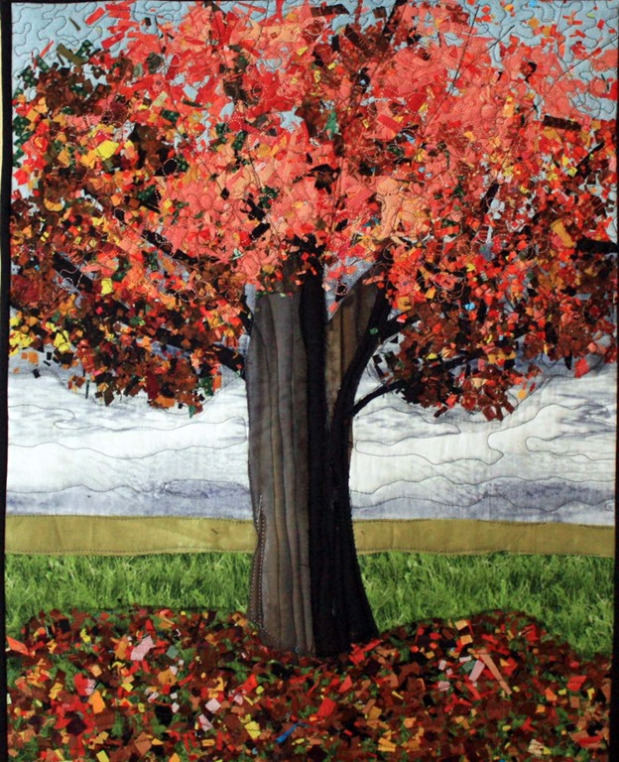 I poked around the internet and looked at the best way to consider hanging a quilt after it had been made. 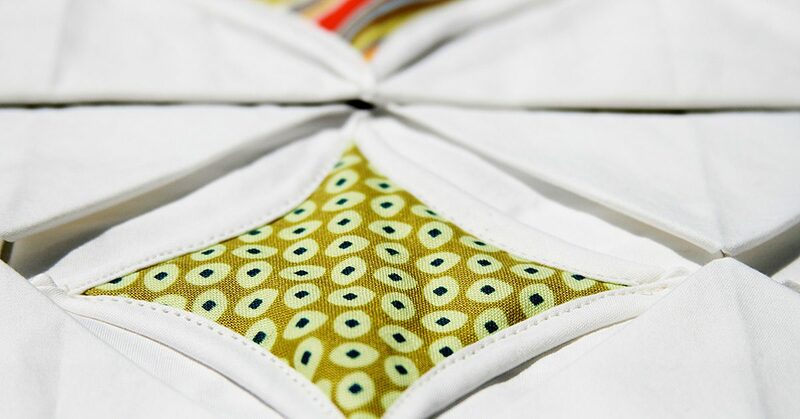 Many showed how to sew triangle pouches or hanging sheaths during the process of adding on the back of the quilt but not many talked about what to do after the fact. Here is what I decided on. There were still a few strips of my binding fabric on hand because I always tend to make too much. I headed to our local hardware store and bought a small dowel. I was pretty sure that if I doubled over the binding strip, the dowel would slip in perfectly to the tube I created. I sewed the top of the tube in advance of sewing it onto the quilt. This part was the trickiest. I really didn’t want a super visible stitch on the quilt’s front so I measured front and back to align the fabric tube as perfectly as I could with a main seam on the front. This part was the trickiest. I pinned it and double checked on the front to see if I had gotten it right. Then I used a basting stitch and sewed the bottom of the tube to the back of the quilt. Moment of truth! And I nailed it almost perfectly. The seam is pretty invisible on the front. The seam is pretty invisible on the front. Next up I slid the dowel into the fabric tube and voilà, it fit in just right. Here’s how it looked from the front. 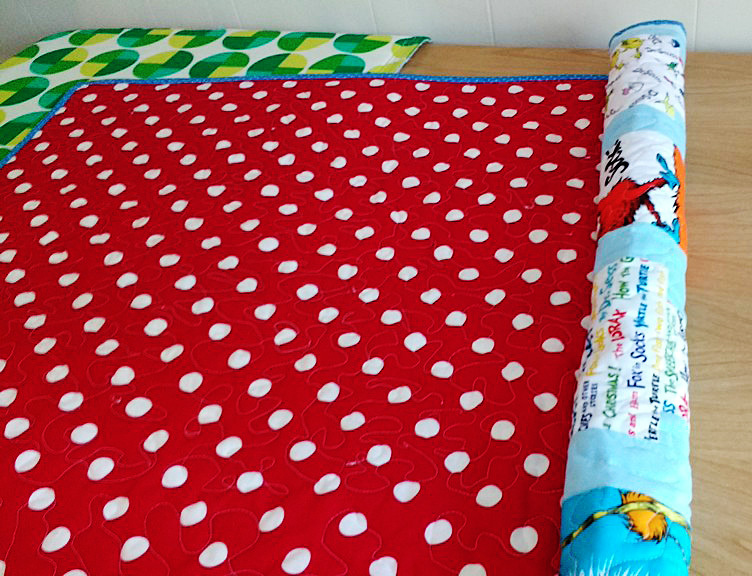 With the dowel in place, I could roll the quilt for easy transportation. I contacted the hotel where the event would be happening and went in advance to see where exactly I could hang the quilt. The management let me know I could use Command Hooks on the wall so I brought the hooks, some rubbing alcohol and a cloth wipe (to clean where I’d be placing the hooks), a level to make sure I hung them evenly, the quilt, and some scissors to trim any stray threads. The hooks needed an hour after being hung to attain their full strength so I brought the quilt back home until the actual event. And here is the finished product hanging at the gala that night. Lovely, no? After the gala I brought the quilt back home to remove the fabric tube on the back. The basting stitch I had used made it quick work to take off. 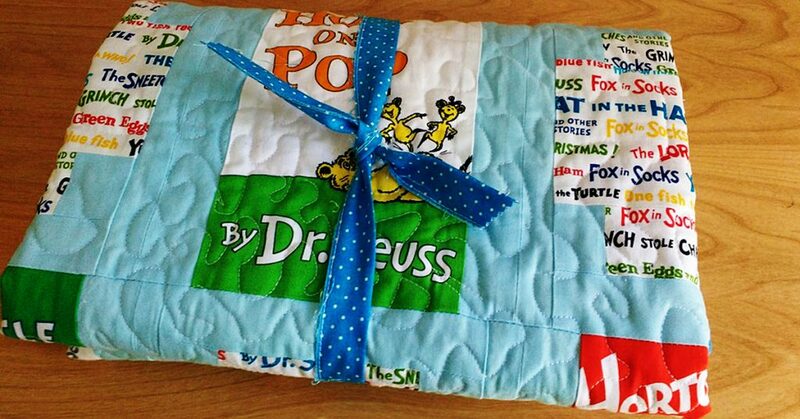 I then recycled the tube of fabric and used to wrap up the quilt for gifting. 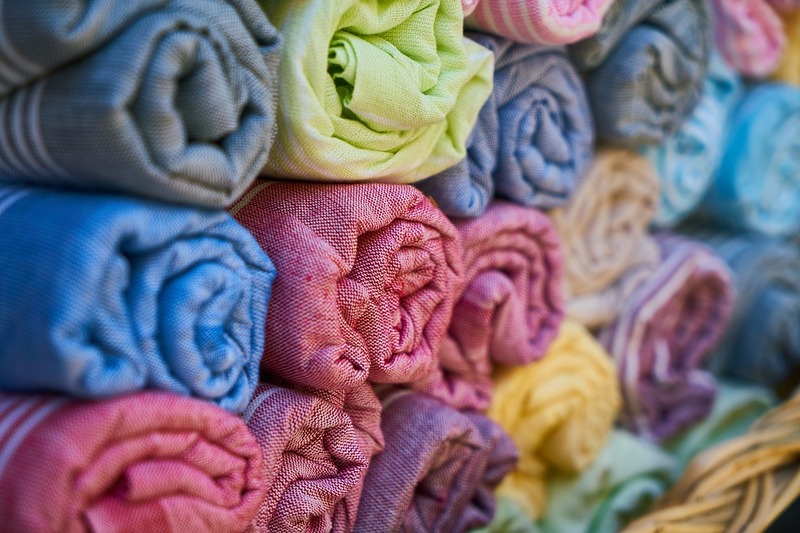 Have you ever donated something you’ve sewn to benefit an organization you cared about? Let us know in comments! 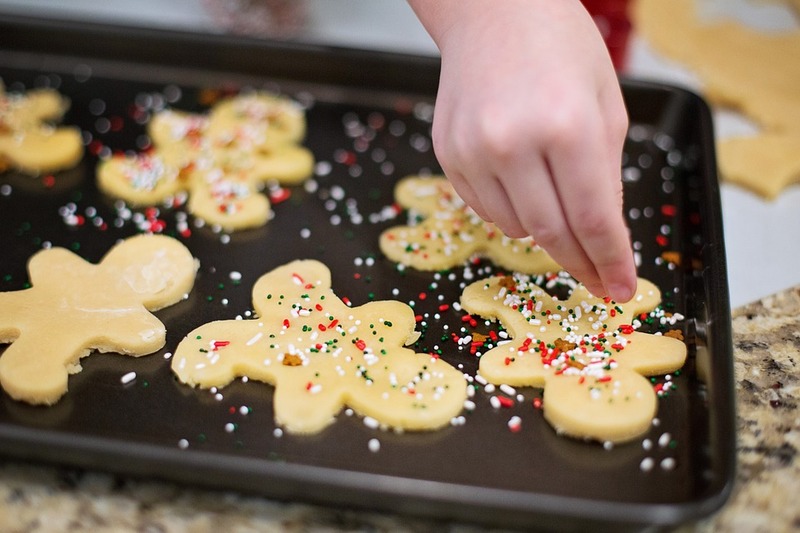 Not every holiday has to be one that leaves the shelves of stores stocked with accessories and baking supplies that are that-holiday-themed. 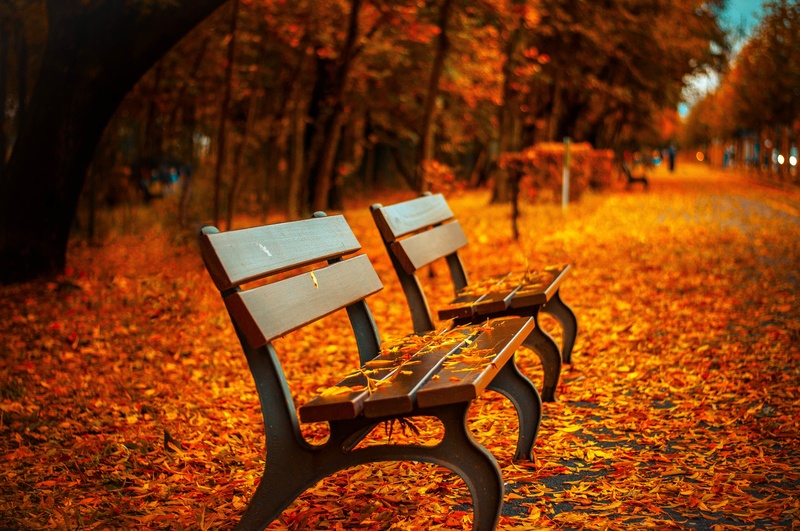 Some of them can pass by with a lot less glitz and glamour, with only those people who are interested and aware of said holiday embracing it on their own terms. National Talk Like a Pirate Day, anyone? Pirate talk included, one of my absolute favorite holidays of that category is one that embraces a very real part of my nerdy heart: Star Wars Day. That’s right. 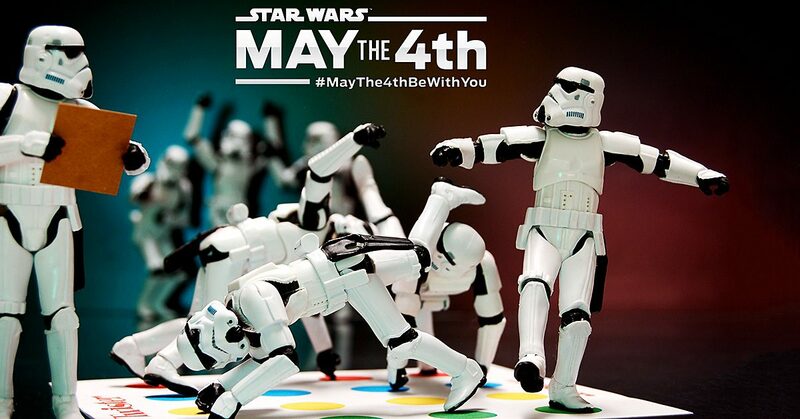 May the 4th is a good day for me! In fact, for this Star Wars Day, I’m planning on trying to introduce my youngest niece to the first movie of the original trilogy. Here’s hoping she loves Chewbacca as much as her Aunt Connie does! There are a number of options for this kind of product, but one that really stuck out to me was this Death Star quilt. And there are plenty of sewing projects that are fitting for the day. Of course, it’s a little late in the game to make these for this Star Wars Day, but they’re ideas to keep in your head for 2018! For instance, you could make a Star Wars blanket or quilt. 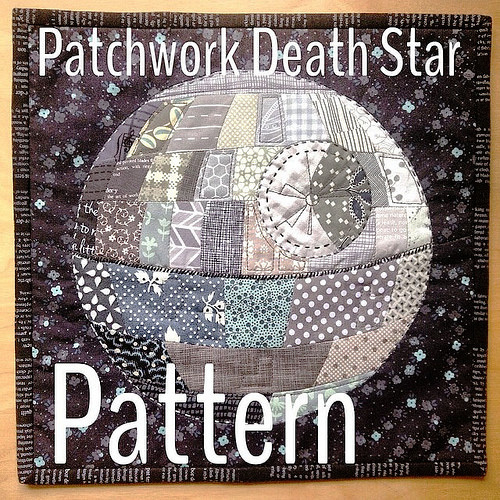 There are a number of options for this kind of product, but one that really stuck out to me was this Death Star quilt. I absolutely love the collage element that makes up the Death Star in this project, and the galaxy-esque material it’s on is a perfect fit for the theme. It’s dark and looming, just like the Death Star should be! I, personally, would be proud to be the maker of such an interesting take on the empire’s weapon! For a person — like me — who adores baking, making a character-inspired apron like this one feels like a wonderful option! Oh, & remember how I said I loved Chewbacca? 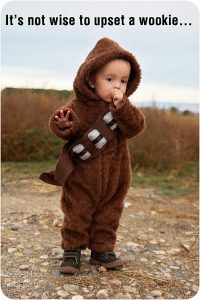 Imagine your little one decked out in this Chewbacca costume! Oh, and remember how I said I loved Chewbacca? Imagine your little one decked out in this Chewbacca costume! 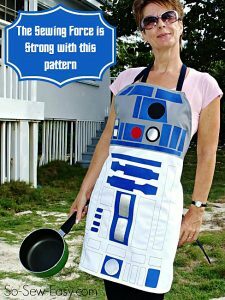 This one could double as a Star Wars Day project and a Halloween one since this would make an adorable costume for trick-or-treating time! It would include a number of pieces — like ammo belt details — so you might want to make sure you start early enough to tend to all of these aspects! 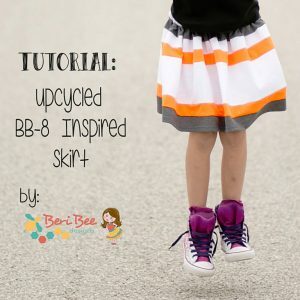 Another Star Wars project that you could make for your little one is this BB-8 skirt. 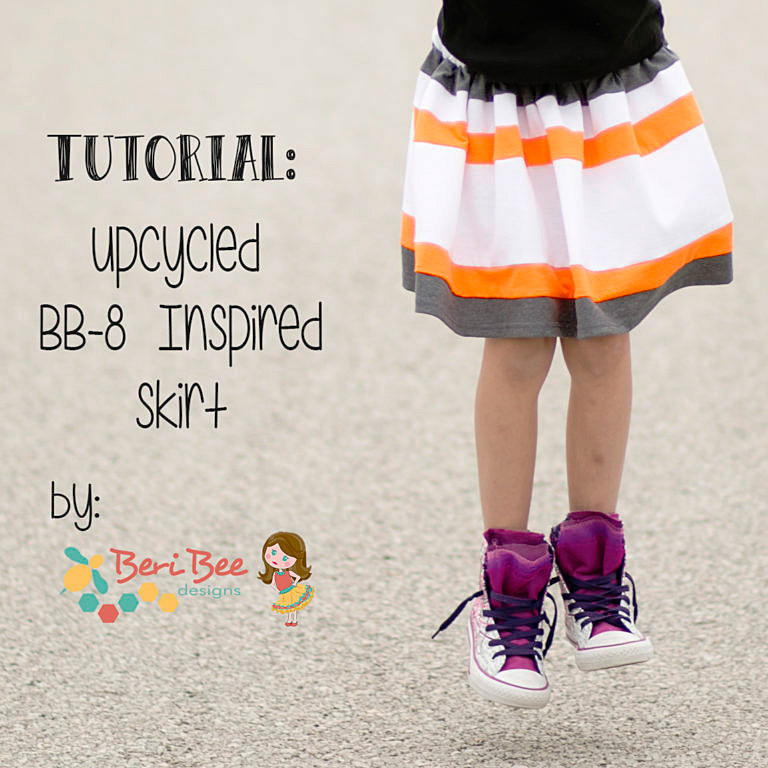 Another Star Wars project that you could make for your little one is this BB-8 skirt. It’s a nod to the more recent Star Wars movies with one of the two awesome droids that have come to the surface through them. Seriously! I adore BB-8, and K-2 is so awesome! This skirt would be something that could be worn any other day of the year as well since while it’s a nod to BB-8, it’s basic enough that it doesn’t necessarily have to be a skirt that’s Star Wars themed. It could easily just be a skirt with stripes, which isn’t day-specific! 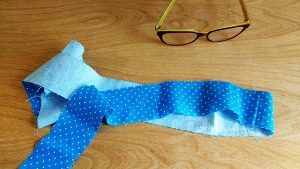 Essentially, with this product, you could have a perfect piece of clothing to wear through the day that’s general enough to wear again and again, regardless of the day. One last project applies to anyone in need of carrying around documents & such — whether that something to carry is the sketch pad shown or a stack of papers that you, as a teacher, graded! 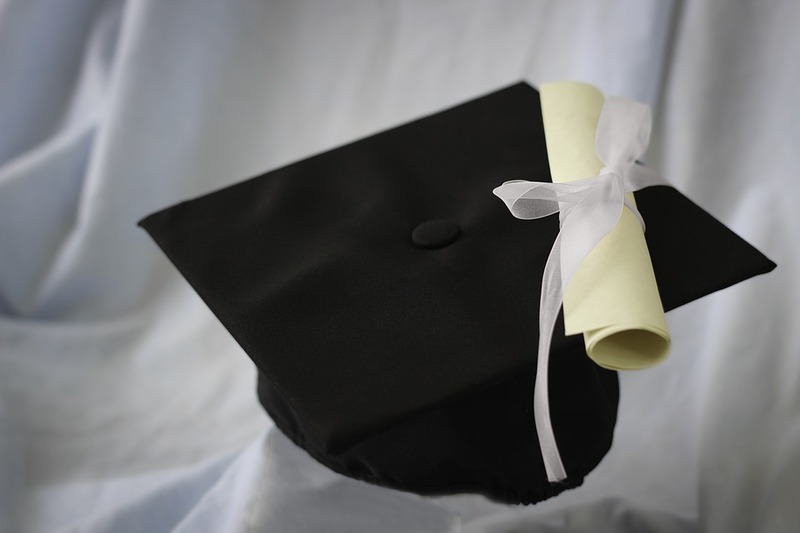 One last project applies to anyone in need of carrying around documents and such — whether that something to carry is the sketch pad shown or a stack of papers that you, as a teacher, graded! Now, obviously, you might want to make sure that this project is okay with your employer before you carry it into a formal meeting, but if you get a thumbs-up, there’s something awesome to me about the idea of carrying a Star Wars case into said meeting with your company-important documents. This could also be used for things around the house, like keeping your receipts or pictures in, and it’s a small enough project to easily manage between today and May 4, 2018! This is the perfect day, in my opinion, to embrace your inner nerd and run with your sewing projects! It’s for what could be labeled the epitome of Sci Fi/Fantasy movies, and there’s plenty of room to work these mentioned projects into your May the 4th schedule. Need proof? Here you go: You could grab that Star Wars quilt and the baked goods you made while wearing your apron, toss that quilt over you and your kids in the Chewy costume and BB-8 skirt, put your distractions in your carrying case, and watch some Han Solo!